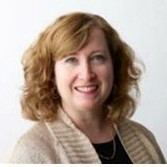 As President/CEO and Owner, Jenny Niemann, is responsible for the strategic leadership of Forward Space. She establishes the goals, strategies and general oversight of company activities and is fully engaged with the Forward Space/Steelcase Team to provide guidance and leadership in support of client needs. Through her effective leadership and management skills, Jenny has established a proven record of accomplishment within the industry and the business community. With over 24 years of experience in senior management and leadership positions in the industry, Jenny’s career has been focused in the areas of innovation, sales strategies and process improvement. Prior to her role with Forward Space, Jenny was CEO of Red Thread — a Steelcase dealership in New England — where, in 2011, she led the acquisition and integration of the three different Steelcase dealers that merged to form Red Thread. The company grew to be one of Steelcase’s top 10 dealers nationwide and employs approximately 500 employees. Under Jenny’s leadership, organic revenue grew 30% and profits tripled. It was Jenny’s success in leading Red Thread that fueled her desire and provided the opportunity to relocate to Chicago in 2014 to create Forward Space through the acquisition of the two local independent Steelcase dealerships, Office Concepts and OEC Business Interiors. Before establishing Red Thread, Jenny spent 20 years with Steelcase in various leadership positions. In her most recent, she was responsible for the continued development of the Steelcase dealer network in North America and helping dealers transition their businesses for the future. Previous to that, Jenny held various marketing, product development, information technology and operations positions at Steelcase. Her responsibilities included managing global business centers in Malaysia and Mexico, P&L responsibility for product development and ongoing marketing of various product categories, establishing Steelcase’s first business-to-business e-commerce solution and leading North American operations functions that included customer service, quality, warehousing and logistics. Prior to that, Jenny began her career in 1990 with Accenture (Andersen Consulting). There she advised businesses on the design, test, and implementation of information systems. While Jenny excels at business leadership and building strong client relationships, she is also committed to the industry and the local community through various organizations.